When did you begin writing The Bookseller's Murder and where did the inspiration for it come from? I began writing The Bookseller's Murder in 2014-15. I'd been reflecting on the idea for years and it is connected with my interest in issues of identity, place and the relationship between east and west. The image of the main protagonist of the novel, Mahmoud al-Marzouq, took shape in my mind against the backdrop of events witnessed in Iraq in the last fifty years. This character more or less represents the typical Iraqi intellectual, whose dreams are frustrated by reality and who has a bizarre, tragic end. It took a year and a half to write, between Spring 2014 until the end of 2015, although its characters and themes lived with me for a long time before that, and I was thinking about the writing techniques suitable for it, until it emerged in its current form. I wrote it in Baghdad. As soon as it was published, reactions to the novel were extremely positive. In just a few months, more than twenty-five studies and articles about it have been published in various Iraqi and Arab newspapers and magazines, as well as many comments praising it on readers' pages in social media. 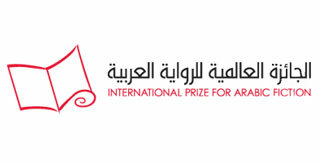 The publisher had begun to prepare a second edition before it was longlisted for the prize. A different novel dealing with a difficult and delicate period in our current history. I haven't chosen the title yet. The idea and events are slowly becoming clearer in my mind. I have begun to write notes about the characters and gathering material which I hope will help me to accomplish the work this year and the next. I'm not the type who reveals what happens in his fictional work and the style he wants to use before finishing it, since this dampens some of the writer's enthusiasm to visit his imaginary world and give it artistic shape. And there will certainly be changes to the nature of the work, course of events and narrative structure during the writing. For this reason, I don't want to disclose more details about it.